Sustainable development is the principle of Macroocean research. We are trying best to provide products with leading technology, to improve our product service and innovation, to supply solutions to solve customer’s issues. At the same time, we use efficient and safe process, pay attention to environment protection, ensure health and safety of our employee, reduce resources waste and cut the cost. From breaking the overseas monopolization, to enter the global high-technology zone, we are based on scientific technology to carry out high technology research project to realize our goal on world leading. 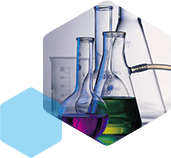 Unlike other traditional research institute, we design our new products according to the market demands. Our researchers are more close to the market. Through deep cooperation with our customers, novel ideas can be transferred into effective and profitable product solutions. 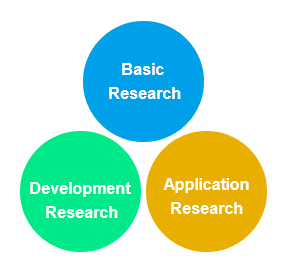 The research system of Macroocean includes three parts as basic research, application research and development research. All the three parts are coordinately developed and linked to each other in scientific research system. Application research, which is the next step of basic research, applies new theory built by basic research to a specific field. It is the bridge between basic research and market, for it can help the results of basic research convert into specific application and make it be the practical technology. Development research is the center to convert science into productivity, including the research and development of production process and industrial technology. It combines basic research and application research. By exploring new theory and principle, we can discover new scientific fields to provide theoretic premise for the new technology and innovation. Basic research is a comprehensive scientific research, which requires strong exploration and innovation and also high investment support.